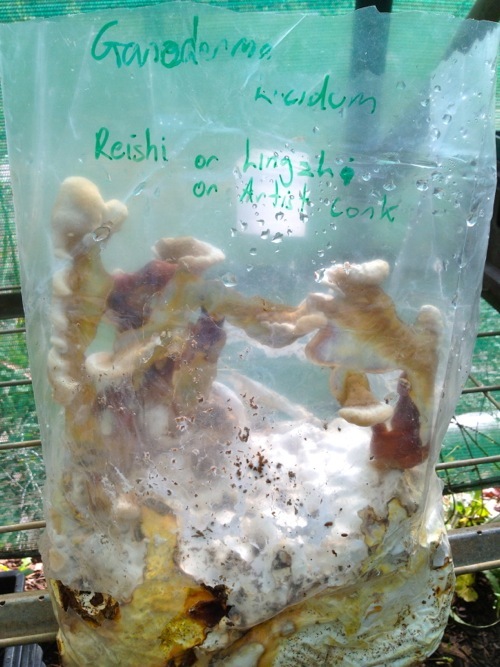 As part of the mushroom propagation systems we’re setting up at Milkwood Farm, we’re growing reishi mushrooms, for their widely established healing properties. In China and Japan, reishi are used widely as a general health tonic and also as a specific treatment for some types of cancers. 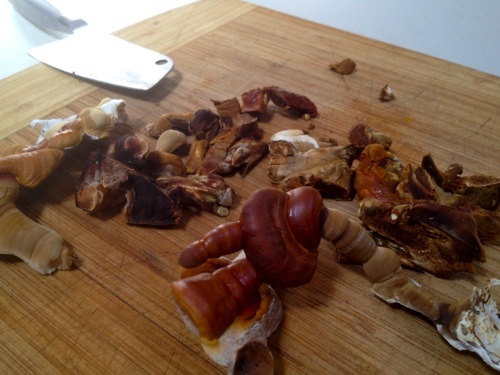 Making tea is a simple way of accessing reishi benefits, and it tastes great too. 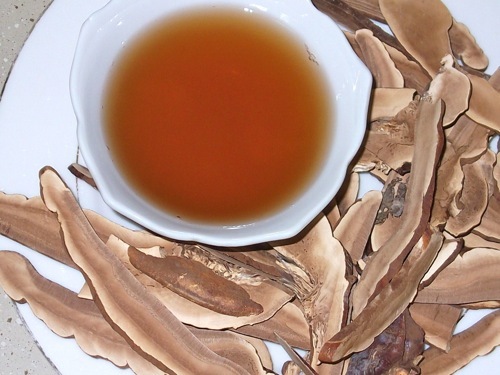 In western medicine, ganoderic acid, which is found in Ganoderma mushrooms such as reishi, has been isolated and proven effective in anti-tumor treatments, liver cancer, diabetes treatment and many other applications. In traditional and holistic medicine it is used even more widely in the treatment of many types of cancer, high cholesterol, hepatitis, nervous disorders and liver disease. 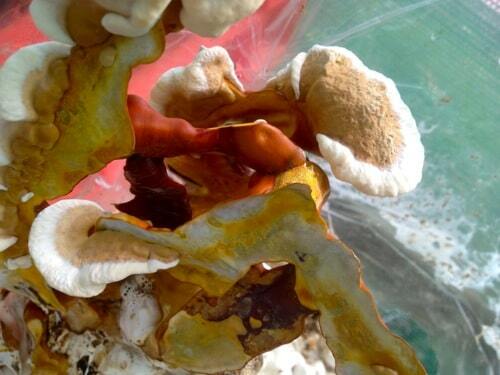 The ganoderma mushrooms have also been found to contain strong anti-viral and anti-bacterial properties. 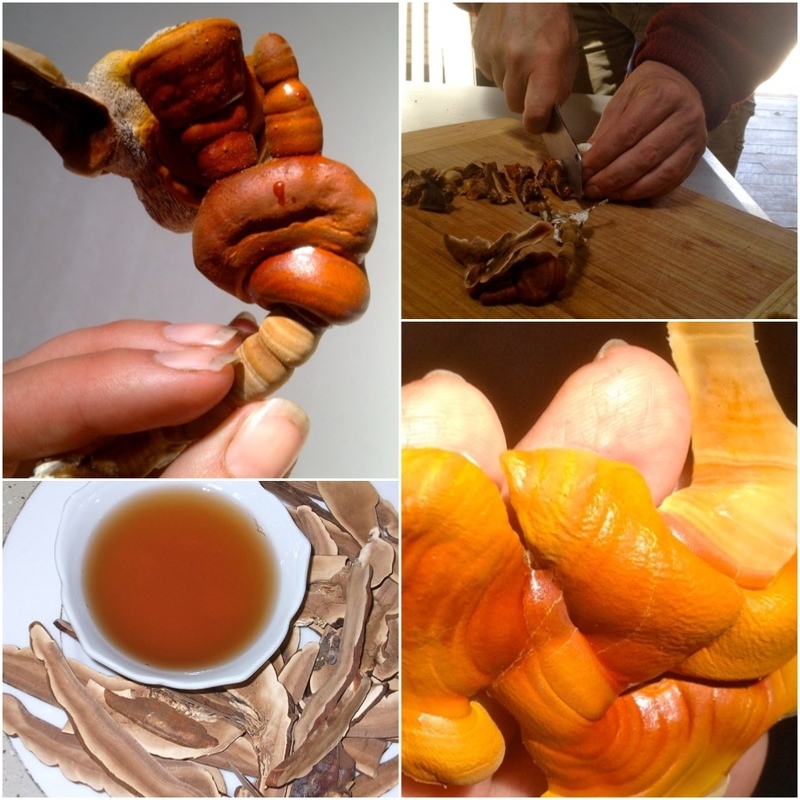 Reishi mushrooms are also valued because of their lack of side-effects when taken medicinally – they are considered very gentle as a treatment. They’re also sold commercially in a pulverised form mixed with coffee, promoted as a tonic and a slimming drink. Any way you look at it, it’s a good thing to drink occasionally as part of a preventative strategy for lifelong health. Bring on the reishi tea I say. 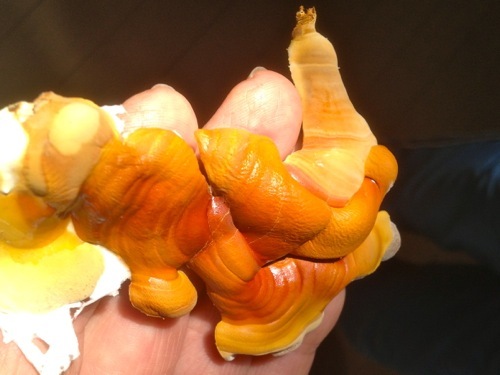 Reishi mushrooms (dried) can be bought at some chinese herbalists, but the fresh mushrooms are the real deal. They’re also very leathery and hard, even when fresh, which is probably why they’re grated when being used in their dried form. Add to water, bring to the boil, and simmer for 20 minutes (for fresh mushrooms, this step takes a couple of hours after soaking the mushrooms overnight). Simmering for 20 minutes and… time to drink! The tea tasted like green tea crossed with mushrooms… very pleasant. 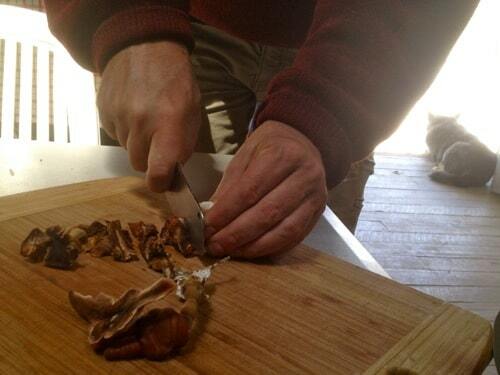 We run Gourmet Mushroom Cultivation courses in Sydney and beyond, if you’d like to learn how! Reishi tea! To a long and fruitful life… cheers. It's been a month of growing, building, adventuring and making i . .
work nicely with it too. Ganoderma can change an imbalanced body to a healthy one. There is no difference among human races, ancient or modern people. Ganoderma has an effect on all. i hope reishi mushroom tea great taste.. but, in my country, Indonesia reishi mushroom very expensive. my guess is the bitterness comes from fermentation during a slow drying process – at least i have never had a cup of anything but mildly mushroom-y tea from my own reishi, which i have not only dried and freezed before, but made into a tincture as well and it’s all just lovely. very interested in learning how to clone from the wild, they are so elusive even though some do grow near where i live in southwestern finland. 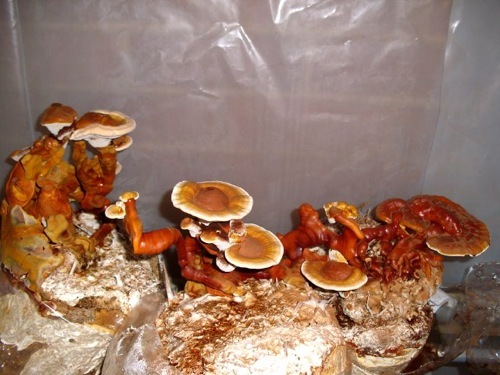 where can you buy reishi mycelium in perth? Many places to find red reishi near my house in western Massachusetts, they’re very common. The tea I made several days ago was not tasty, but drinkable. 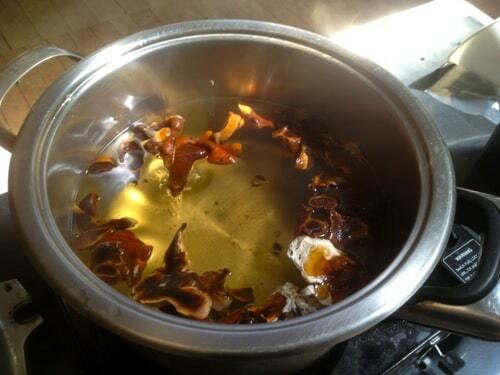 I boiled two large cups of tea down to one cup, with a good amount of mushroom in the pot, and it was very strong. 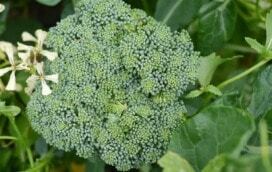 My liver ached for half a day, a common sign that it was being detoxed. Great! Reishi mushrooms are sold at our local farmer’s market here in Portland, Oregon. It always helps my asthma and any bronchitis lingering from a flu or cold. I have see kind of ganoderma in the forest. Do you soak the fresh or dried mushrooms overnight before boiling? Thanks for this Kirsten. Just picked my very first reishi mushrooms (Quebec). Can you clarify for me? Do I soak the fresh mushroom overnight in water? And then chop? 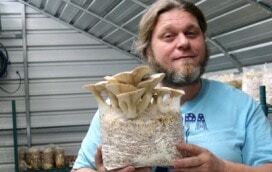 What’s the ratio mushroom to water for making the tea? Thanks so much! I just feel like I really have to understand the steps as I don,t want to intoxicate my family!